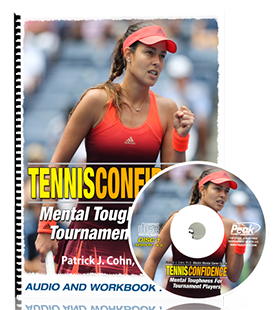 In “Sports Psychology Sessions with Doc,” Dr. Patrick Cohn answers a question from Mary who wants to know how she can help her son gain confidence in matches. 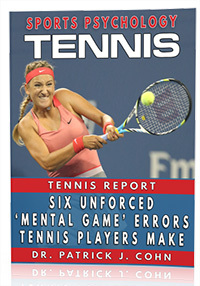 Nervousness, or anxiety, can prevent players from playing their best. Kids tend to play tentatively and tight up in fear of letting others down. Players need to get over their fear of worrying about what others think, losing and not getting results that they expect. How can players get over their fear of failure and anxiety in matches? Watch the video to see what tips Dr. Cohn gives to Mary about helping her son overcome his anxiety and gain confidence.